Secure Rooms from International Vault, Inc. 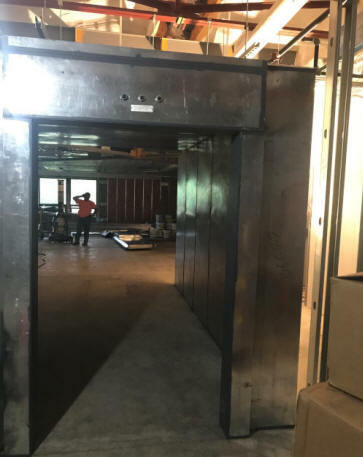 Secure rooms, sometimes referred to as panic rooms or safe rooms, are hardened structures that are not Underwriters Laboratories (UL) Certified, but they are constructed using the same method as UL burglary-rated products. A secure room is essentially a vault – for the protection of people. They are thinner and less heavy, and as a result, much more affordable! 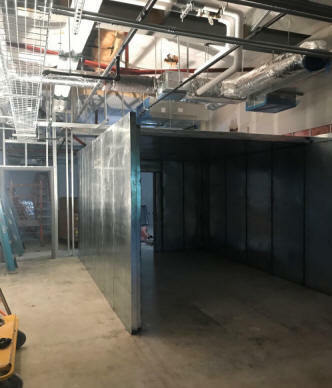 Secure rooms consist of a laminated panel with multiple layers: expanded metal, poly treated OSB, epoxy, and a proprietary mix of minerals that degrades saw blades, drill bits, and galvanized sheet metal. Severe weather protection – A sturdy secure room provides protection from the force of a storm, shielding its inhabitants from flying debris, water, structural damage, and other threats. Tornadoes, hurricanes, and other severe weather conditions can be life threatening. A secure room can be a life saver in such extreme conditions. Disaster protection – In the event of a terror attack or a natural disaster, a secure room provides a protective area in the face of such disasters. Asset protection – Anything of value is of interest to a thief. Jewelry, expensive electronics, cash – secure rooms serve as an added layer of security in the event of an attempted burglary. Active shooter protection – Unfortunately, shootings have become all too common in modern society. Secure rooms can be built with bulletproof materials, ensuring protection from gunfire. Hiding space – In the case of a home invasion or any threat of violence at home or in the workplace, secure rooms provide protection until the threat has been cleared. A secure room can be built in a secret space, such as behind a bookcase or a mirror. Energy efficiency – The solid protection provided by a secure room increases energy efficiency by containing and retaining heat or cold air, resulting in additional savings. Lower insurance premiums – By having a secure room, you have taken an active step in ensuring the safety of people, structures, and belongings. Some insurance companies take this into account, which reduces your risk and lowers your premiums. Mold and termite resistance – Special materials, along with the structural integrity of secure rooms, provides resistance to dangerous mold and pests such as termites. Low maintenance – Once a secure room is put in place, the maintenance is minimal. As a supremely solid structure, a secure room is built to last and provides long-term safety. For more information on safe rooms, please Contact Us today or call us at 844-311-3132.